he Depal-S series sweep-off depalettizers are designed to handle any kind of container pallettized on a flat layercard or inverted tray. 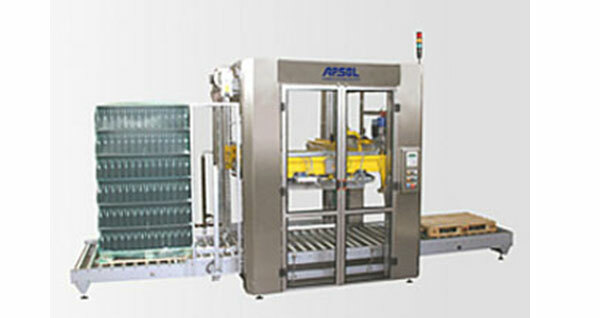 The machines are available in various configurations both semi or completely automatic for production speed from 40 up to 140 layers/h. Thank you for your feedback. We will act on it as soon as possible.